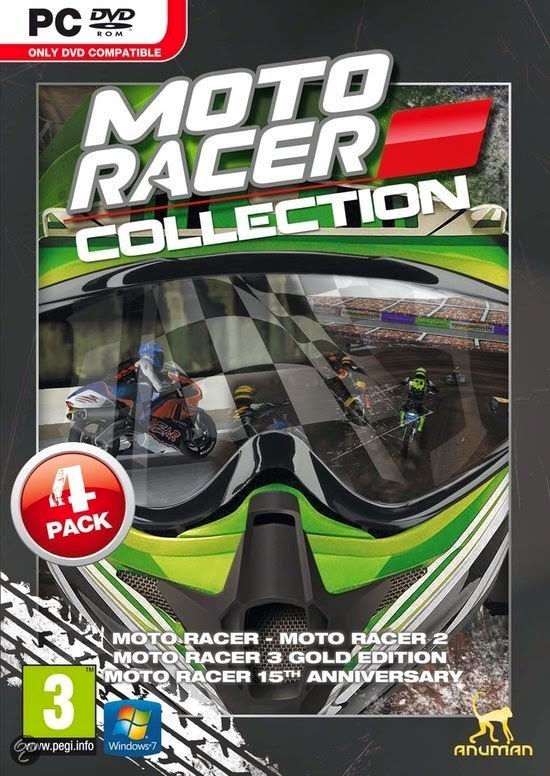 Moto Racer Collection features the original Moto Racer, Moto Racer 2, Moto Racer 3 Gold Edition + Moto Racer 15h Anniversary. MOTO RACER 3: Feel the thrill of speeds 300 km/h and over on some of the world's greatest racetracks including Suzuka and the Sachsenring. Hop on a trial bike and negotiate the trickiest of obstacles. And take a nerveshredding high-speed trip through the streets of Paris. MOTO RACER 15th ANNIVERSARY: Race against fierce competitors in GP Mode. Challenge the best bikers in spectacular Supercross races Perform the best aerial tricks in Freestyle Mode. Break the records in Time Trial Mode.